A friendly guide to the ukulele for beginners and intermediate players. 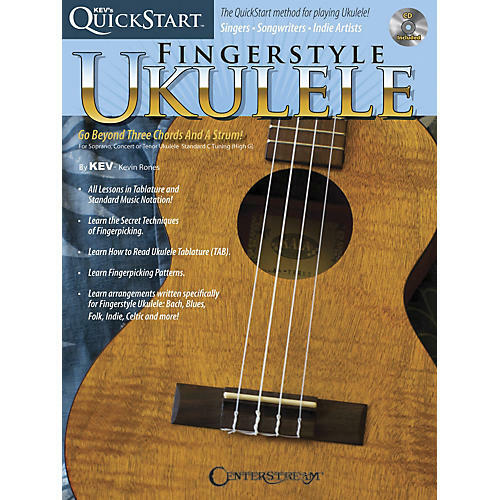 Kev's QuickStart for Fingerstyle Ukulele combines picking patterns, chords strumming, and melody lines for interesting and fun arrangements. This new book will help anyone move beyond three chords and a strum! Kev covers techniques and patterns, tablature, music reading, and much more, with arrangements written specifically for fingerstyle uke in styles ranging from Celtic to classical. Perfect for uke newbies or intermediate players.